Neotame is a zero calorie sweetener that is a derivative of the dipeptide combined of the amino acids, aspartic acid, and phenylalanine. These components are mixed together to create a uniquely sweet ingredient. Even though it is a modified form of aspartame, it is considered safe for people with phenylketonuria (PKU) disorder. This artificial sweetener is approximately 30 to 40 times sweeter than aspartame and 7,000 to 13,000 times sweeter than sugar, depending on how much is used. It has a clean, sweet taste like sucrose. Neotame is being used in foods and beverages such as chewing gum, carbonated soft drinks, refrigerated and non-refrigerated ready-to-drink (RTD) beverages, tabletop sweeteners, frozen desserts, puddings, fillings, yogurt, baked goods, and candies. Neotame is sold under the brand name Newtame, while it is named in European countries as E961. It is considered to be the cheapest sweetener and is used to reduce the cost of manufacture. Since it can be broken down under heat, it is suitable for cooking and baking, unlike aspartame. It is metabolized by the body easily and eliminated by the body through normal biological processes. The effects of neotame in the body are still debatable. Some say it is safer than aspartame, while others say its even more toxic than aspartame. Since neotame is based on aspartame, a harmful artificial sweetener, it has been criticized a lot and is perceived negatively by people. Aspartame and neotame are made up of substances which metabolize into formaldehyde, which is a highly toxic poison. They also contain an excitotoxin amino acid that agitates, which in turn damages the nerves. A chemical that neotame has, which aspartame does not have, is 3-dimethylbutyl. This chemical is on the most hazardous chemical list of the Environmental Protection Agency and a highly flammable substance. According to a report by Holistic Med, this likely increase in toxicity will be made up for due to less of it being used in diet drinks. Similar to aspartame, it is harmful because of the gradual neurotoxic and immunotoxic damage from the combination of the formaldehyde metabolite and the excitoxic amino acid. Likewise, it may also lead to obesity. On the other hand, neotame is considered safe for use by the Food and Drug Administration (FDA) in 2002 and the Center for Science in the Public Interest (CSPI) in the United States. Other countries such as Australia, New Zealand, and Canada also approved the usage of this artificial sweetener. Together with advantame, these two are the only artificial sweeteners that are endorsed by the CSPI. Although artificial sweeteners like neotame contain zero calories and zero glycemic index, they are not proven to be effective in losing weight. However, a study on the relationship between consumption of artificial sweeteners and metabolic problems published in 2014 found that artificial sweeteners such as saccharin, aspartame, and sucralose indicated an effect in the bacteria in the harmful ways. 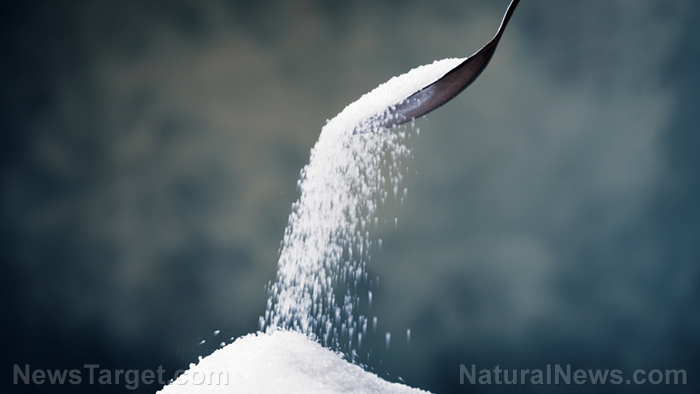 Results of the study demonstrated impaired glucose metabolism in subjects, both human and animal, who followed a moderate consumption of these artificial sweeteners for several weeks. The adverse effects of neotame need further research. Although, some claim that it is more dangerous than aspartame. It is a deadlier neurotoxin, immunotoxin, and excitotoxin which has a long-term effect of death of cells. Neotame is an artificial sweetener that is based on the structure of aspartame with an additional component 3-dimethylbuthyl, which is hazardous. It does not help people who are trying to lose weight and may also cause cell death with long-term use.